A few weeks ago, my aunt and uncle were in from Maui for the week and we, of course, spent a lot of time with them at my grandparents. One night, we were out on the screened porch and my aunt mentions that her whole outfit is from Stitch Fix. 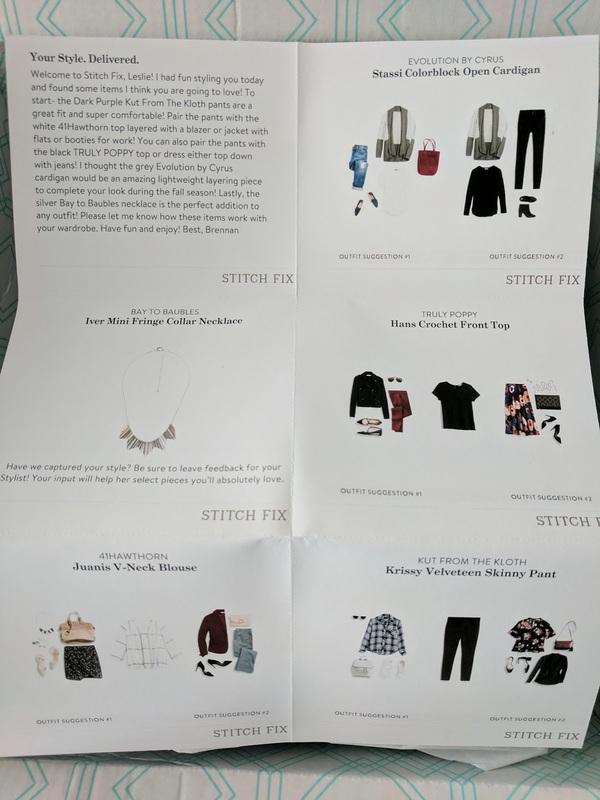 Obviously, I have heard of Stitch Fix at this point and have even had a few friends try it out without much luck. But, Joyce convinced me to bite the bullet and try it at least once. I filled out my style profile and chose the prices I was willing to pay (hint: the lowest they offered) and waited for them to arrive. I won't lie, getting a box full of surprise goodies is pretty fun. It felt like a little moment of Christmas! Here's some pictures of what I received, but unfortunately, I didn't do a full try on with pictures because I knew pretty quickly I wasn't keeping any of it. I really did love the cardigan and it was SO soft but it was too big and fit me kind of weirdly. I liked the pants, too, but, again, they had a weird fit and I wasn't willing to shell out almost $100 for pants that don't fit perfectly because I know I won't wear them. After not really falling in love with any of the items (at least not enough to buy them at their price points), I decided to send them all back. I told a friend at work about my experience and she mentioned wanting to try Le Tote which is a rental box service. I scoured the internet looking for reviews (and coupon codes #cheap) to see if it was worth my time. One coupon code later, and my first Tote was being styled. I ordered the Tote late in the day on 9/27 and it was here on the morning on 9/30! Immediately I was impressed by the turnaround time. 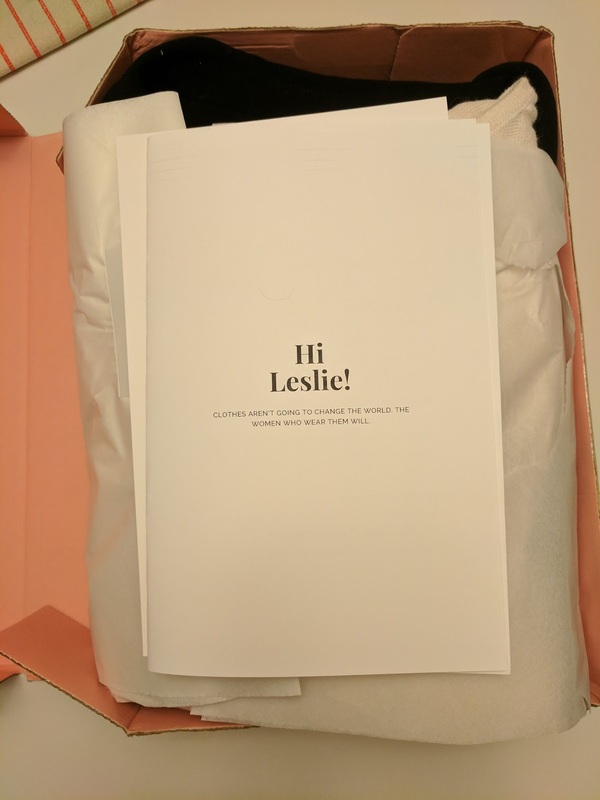 So what makes Le Tote different than Stitch Fix? one // As I mentioned, it's a rental service (but they do offer a purchase only box, too). There are a few different options: 1) 3 clothing items + 2 jewelry items, 2) 5 clothing items + 3 jewelry items, and 3) 4 clothing items. two// You pay a monthly fee and can get as many Totes as you want during that month instead of the styling fee per box as with Stitch Fix. three // You can wear the clothes as many times as you'd like before sending it back. four // If you choose to buy anything from your Tote, it comes at a discounted price. For example, with my first Tote, I received a vest that was marked down to $15 with retail being $68! five // You get a chance to swap out your items prior to shipping! Once you sign up/send your Tote back, you will get notification that your next Tote is ready for approval. You have 48 hours to approve your Tote OR change out the items. Seriously. When my Tote was first styled, I honestly did not like anything but the earrings. So, I swapped it all out! You can save items to your "closet" for easy reference moving forward which I think is awesome. I've heard as you get more Totes, the stylists get better, but either way, it's great to have the customization option! Here are the items that I received in my first Tote! I really liked everything in my Tote, but the pink sweater fit awkwardly. I wanted to buy the vest, but couldn't think of more than a few outfits with it based on my current wardrobe but I felt great the day I wore it! I did buy the necklace because I wore it almost day I had my Tote so clearly, I'm attached to it. Thankfully, it was pretty discounted! I just mailed the items back last night and I'm eagerly awaiting my next shipment. 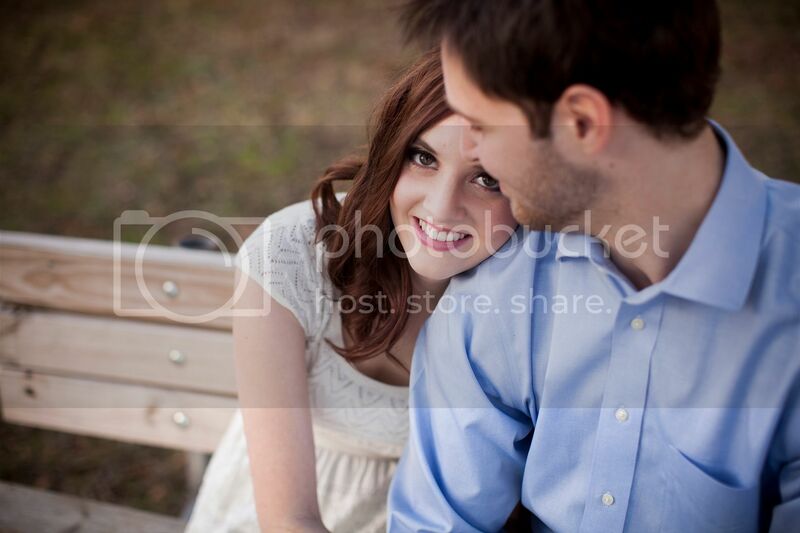 I have a baby shower this weekend and fun plans with friends so I hope they're here in time for that! For now, I think I will stick with Le Tote over Stitch Fix. 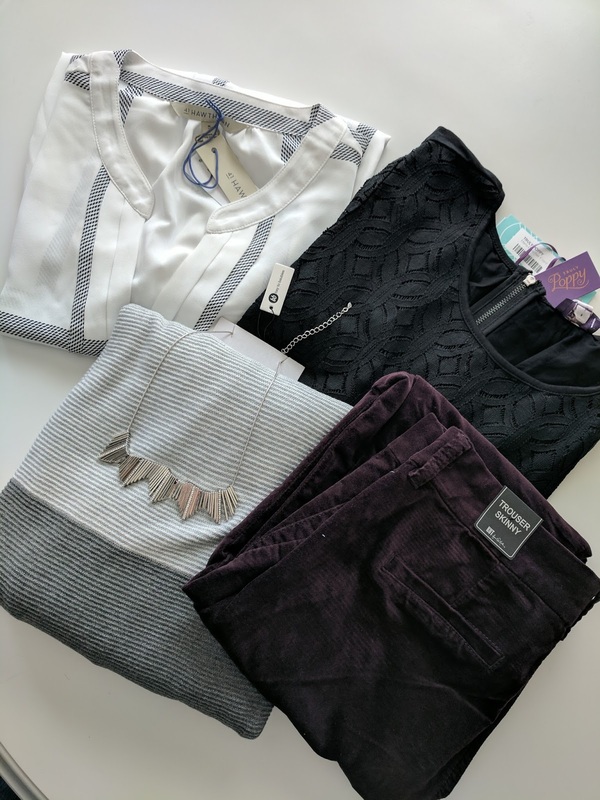 I still like the idea of Stitch Fix and maybe when (if ever) I want to spend a little more on my closet, I would probably go back and try again. But, you can't beat a revolving door of new clothes at a lower price with Le Tote! If you're interested in trying Stitch Fix, feel free to use my referral code. If Le Tote is more your fancy, you can get $25 off your first month using my code here (I will also receive $15 if you use this one!). Have you tried any clothing subscriptions before? What did you think about them? Is there another one I should try? I hadn't actually heard of Le Tote. Sounds like a cool option though! I just recently heard of Le Tote! 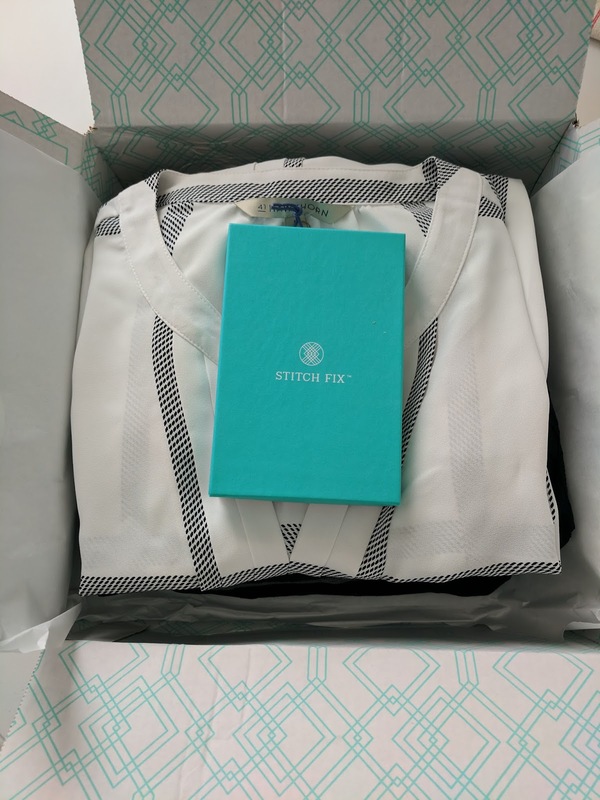 I've been using Stitch Fix for a couple of years and it took me a while to figure it out. I just got a Fix the other day and it was 5/5 for me! I'm going to have to try this! I've thought about doing a clothing box service like this forever!